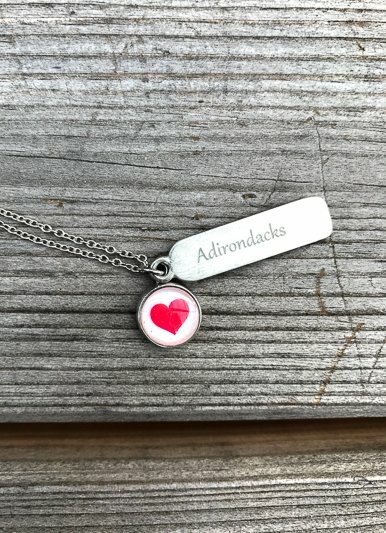 Did you leave your heart in the Adirondacks? Carry a little bit of it around with you every day. 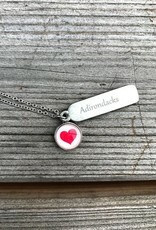 Made in Maine, this necklace features a pewter ½” bezel with 1 ¼” x ¼” message charm on an 18” silver finish curb chain. Our satin silver finish pewter is lead and nickel free and mimics sterling silver. It is designed to only look better with the patina of age and wear. Quality one-of-a-kind craftsmanship and elegantly packaged with care instructions.